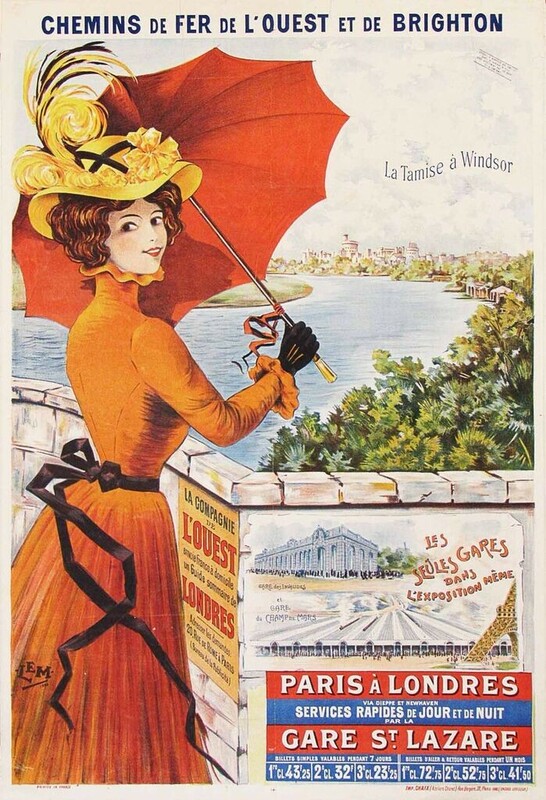 A beautiful art nouveau poster for travel between Paris and Windsor Castle. LEM created some gems in the late 19th century. This original vintage poster is backed with linen and ready to frame.